Today we took Baby Charles to the surgery center where Dr. McBride clipped his tongue all the way back. Ok, not the tongue, just the frenulum that attaches it to the bottom of the mouth. We are hoping that now he can eat a looooooot better, and that he won't have to eat as often, and mommy will feel better and therefore be more excited to feed him! He had to have sleepy gas, which made Joshua a little worried (ok, me too! 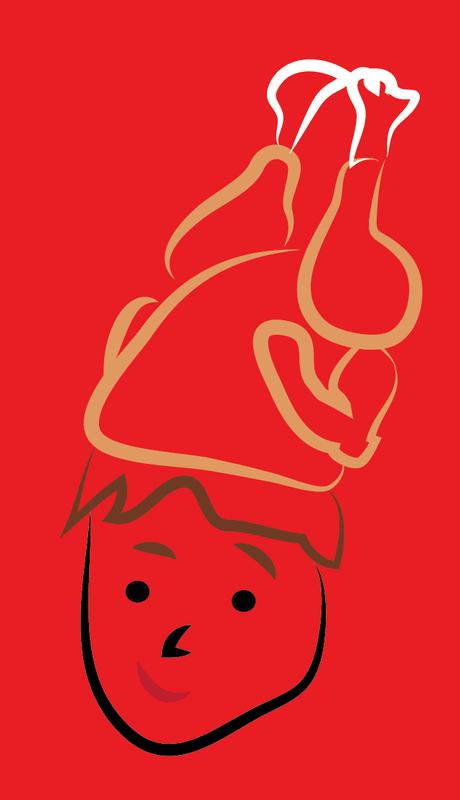 ), but he came out of the procedure just fine - ready to chug some milk! He was a little cranky today (unusual to his normal perfectness) and a little extra sleepy (mom didn't mind that so much), but otherwise doing great. He relayed his positive attitude about the whole ordeal by giving mommy a nice big smile this afternoon. Good job, little man. This is Baby Charles showing off his new skill of grabbing things. Don't worry, we will be updating you with new skills frequently. 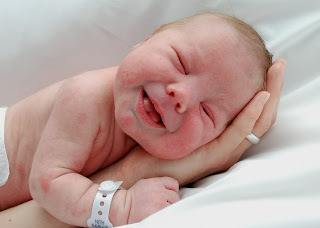 He has begun to smile (making mummy and poppy very happy), which we will document here shortly. And yes, we sound like the ridiculous parents of a newborn in this video . . .
A sad day for the Wheatley clan- baby's first tear. But not very often. So when he does cry its kinda cute. I am thankful for everything! We spent Thanksgiving together - lounging around, watching "The Snowman" and taking a walk to our friends house. The weather was beautiful. We made some food; our mashed potatoes were definitely sub-par, but at least we had turkey candles. First we went to the Canopy of Lights in Downtown Bloomington on Friday the 25th. We visited the museum with free cider and pastries and then found a perfect spot on the courthouse lawn. The place was packed! We were proud that we got there early enough to get a good view and not have to maneuver a stroller through the crowds. Saturday was the Holiday Market - with TubaSantas and carriage rides! Keri and Spencer came to visit us, and we all enjoyed carrying around Baby Santa. When Baby Charles grows up, he wants to be a TubaSanta too. There was a real-life pirate playing a ukulele. Mmmm, Siam House red curry for dinner . . .
Monday we decorated our Christmas tree (our favorite part is the plastic color-changing angel on top). Don't worry, we are getting another string of lights. Aunt Glinnea do you remember this bear? Now a whole new generation is playing with him! This a very important monkey. Baby Charles is mesmerized by this whenever we change his diaper. It helps him take his mind off the discomfort. Thank you Aunt Kathy! First we visited SPEA, the School of Public and Environmental Affairs where I have all my classes. but it wasn't anything personal. Baby boy did not want to come out in time for Halloween, so I was the "tubby little cubby all stuffed with [baby] fluff." 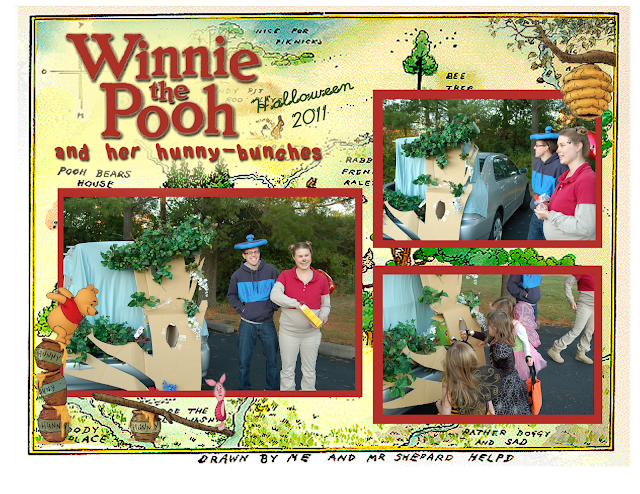 And, of course, we had our pot of pure gold escorting us to the trunk-or-treat. Happy Halloween 2011! No children were stung by bees when they reached into the tree to retrieve their candy! Jonathan and Robin like Bison too. There is much to document from our epic trip across the United States. 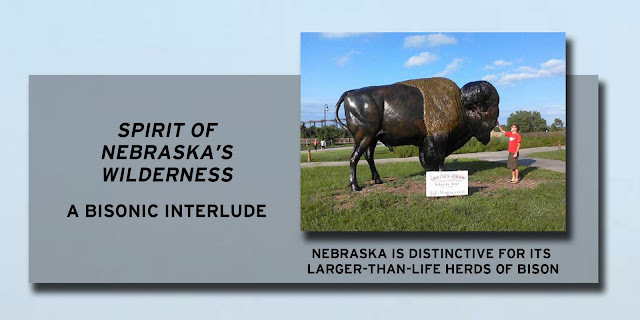 But the most memorable, and the best in pictures, has to be our encounter with the bronze carvings of Nebraska wildlife. Join us for our journey around a city block of Omaha . . .
Today I went to Kayleen's house and we ate baked potatoes for lunch. Dessert consisted of Coco Wheat Brownies and homemade ice cream - both of which are not too great on their own, but together are quite tasty. After lunch we ventured into the beauuuutiful outdoors we painted chairs and worked on Halloween costumes. We were glad the sky waited to rain until we were good and done. In our lovely little apartment, we have a fruit fly infestation. Joshua likes to kill them. Sometimes when I wonder where Joshua went, I will find him in the bathroom. Smashing fruit flies against the mirror. Last weekend we went to the Covered Bridge Festival located in Parke County, about an hour and a half drive north from us. During the week of the festival, vendors from all around come to sell their wares. We enjoyed the free samples of dip, pork rinds, jams, and breads. We smelled alllll the candles, admired the model cars made of super-polished mahogany, and watched the chain saw guys turn tree stumps into bears. The main draw are these beautiful bridges, set in the rural country side. We went on a driving tour and saw about four of them (there are maybe 20-something!). All but one were still in use. The Mecca one was our favorite because, since it was no longer in use, you could get out and walk through it. Joshua liked the windows :). The bridge was very long and set over a pretty big creek/river. After visiting the Mecca Bridge we thought it adventurous to drive into the little town of Mecca; we like looking at old buildings. There was not much to the town, a few wooden bus stops and a tavern. Wooden Bus Stop at Nighttime. Well, we did see one other cool thing - a large old schoolhouse turned combined General Store and Gymnasium. It was a beautiful building, and while Joshua was admiring the architecture of the place, my eyes were reading the signs: "Haunted House. This way -->." Yep, so we went to the haunted house. It started in a half-hour, and dinner was included (delicious hotdog, popcorn, chips and a drink). For a mere $8 each, we had quite and evening. "This is a Haunted House, not a FUN House. No refunds will be given if you chicken out." And those were our adventures in Mecca and Parke County last weekend. Stay tuned for my sewing projects and Halloween greatness.